(NaturalNews) In the documentary Burzynski: Cancer is Serious Business, a Romanian expatriate patient/witness for Dr. Stanislaw Burzynski's defense during one of many hearings asserted that the tyrannical Stalinist dictator Nicolae Ceausescu in Romania never interfered with anyone's choice of medical treatments. But now, he continued, "in free America, cancer treatment choice is not allowed?" Families have to flee the country, becoming fugitives from law enforcement, because children who have cancer are now being court-ordered to undergo chemotherapy or radiation. The hospitals influence the courts, which threaten the parents with arrest for refusing expensive treatments that cause their children to suffer needlessly. State Child Protective Service agencies (CPS) are given the right to take children from their homes and ensure they receive toxic treatments. Yet, even worse, if the families or teenage children manage to flee the country and/or find alternative nontoxic cancer remedies that actually worked, they are still considered fugitives even if they're cured! Healthy and without any trace of cancer, they are still mandated to undergo chemotherapy and radiation treatments until - what? Until they die from the treatment? The currently publicized outrage involves an Amish family, who is under the threat of having their 11-year-old daughter being taken away by Akron's Children's Hospital in Ohio. Reportedly, the hospital was given a large grant to use an experimental cancer drug or drugs for trial purposes, and that was evidently part of their motivation to continue chemo treatments even as the girl protested that she couldn't take it anymore (http://www.naturalnews.com). The full court press of the law and child protective service custody was used to intimidate this family as they sought alternative choices. They managed to flee the country and find a safe and more effective cancer therapy. Now they've returned, most likely from Mexico, and are hiding while friends and family maintain their farm, because they know this Ohio hospital and the court system won't give up, even though their daughter is healthy and cancer free. Pretty stressful situation for a farming family, eh? Their farm is under siege, and they're fugitives for curing their daughter with a less toxic system. By the way, a young lady mentioned to this author that Akron Children's Hospital is the same one where her younger brother died while being treated for leukemia. "They killed him with their treatments," is the way she put it. Here are links to some other examples of this medical velvet-gloved iron fist of tyranny that's allowed here and in other English speaking countries. 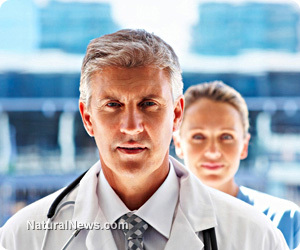 Medical Mafia fascism forces parents to hide their children: (http://www.naturalnews.com). Seattle mother arrested for "kidnapping" her own baby to seek alternative treatments: (http://www.naturalnews.com). Billy Best's alternative cancer survival proves authorities hunting down 13-year-old Daniel Hauser wrong: (http://www.prisonplanet.com). There have been other similar stories here in the USA, the UK and Australia. This author feels that the outrage on Obamacare is somewhat misplaced. What's worse is that no other treatments are allowed for cancer; alternative treatments are routinely taken away from patients who are thriving on them and are never covered by any type of insurance even though they are less expensive. Now children are taken away from parents and forced into expensive and life-threatening toxic treatments that very rarely work. How bad does it need to get?